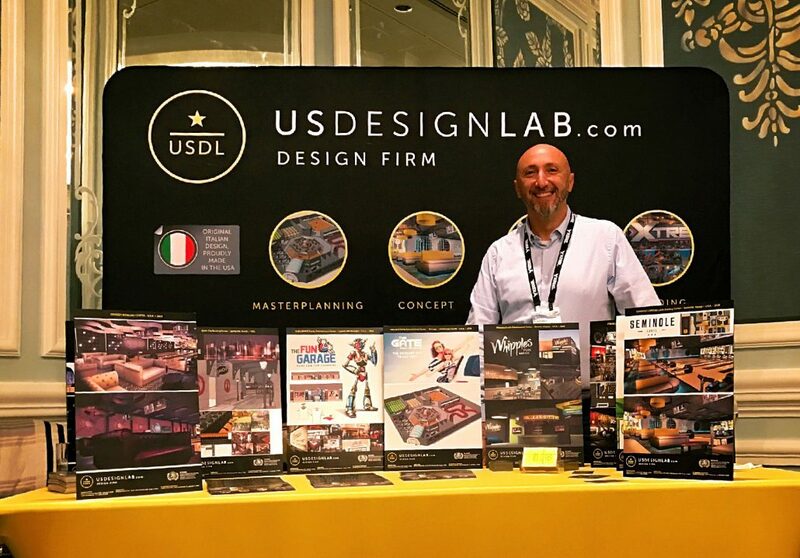 This January, US Design Lab was proud to exhibit our vision for bowling design at the 2017 Bowling Summit. The Bowling Summit, hosted by BPAA (Bowling Proprietor’s Association of America) took place in beautiful South Carolina. This midwinter convention is held for bowling center proprietors, managers, and other industry professionals, and includes seminars, networking events, and important industry updates. Every year, it provides a wonderful opportunity for those in the industry to share information and forge meaningful connections. Therefore, we were thrilled to be there, and show that bowling & entertainment design can be beautiful, even on a budget! In fact, the difference between a mediocre entertainment venue and a memorable one often comes down to design. There are many factors that go into creating unique, beautiful, and effective design for bowling & entertainment centers. Luckily, we’re experts at creating the best experience for guests without ever sacrificing our client’s budgets. Making sure guests are comfortable, flow through the venue with ease, and enjoy their surroundings can be the key to getting good reviews! At our convention booth, we displayed samples of our work to show potential clients the power of great design. Bowling design doesn’t have to be formulaic; our unique, functional designs can make any Bowling/Entertainment Center stand out. With our experience in bowling center concept design, interior design & branding, we can bring a vision to life! And our connection with leading entertainment furniture manufacturer Venue Industries will ensure you see your designs furnished & complete. Want to see how we do it? Check out our work in bowling center design to see how we’ve transformed stand-alone bowling alleys and entertainment center alleys alike! Want to open a bowling or family entertainment center of your own? Contact us for a no-obligation consultation so we can turn your visions into a reality without sacrificing your budget. US Design Lab: Entertainment Well Designed.